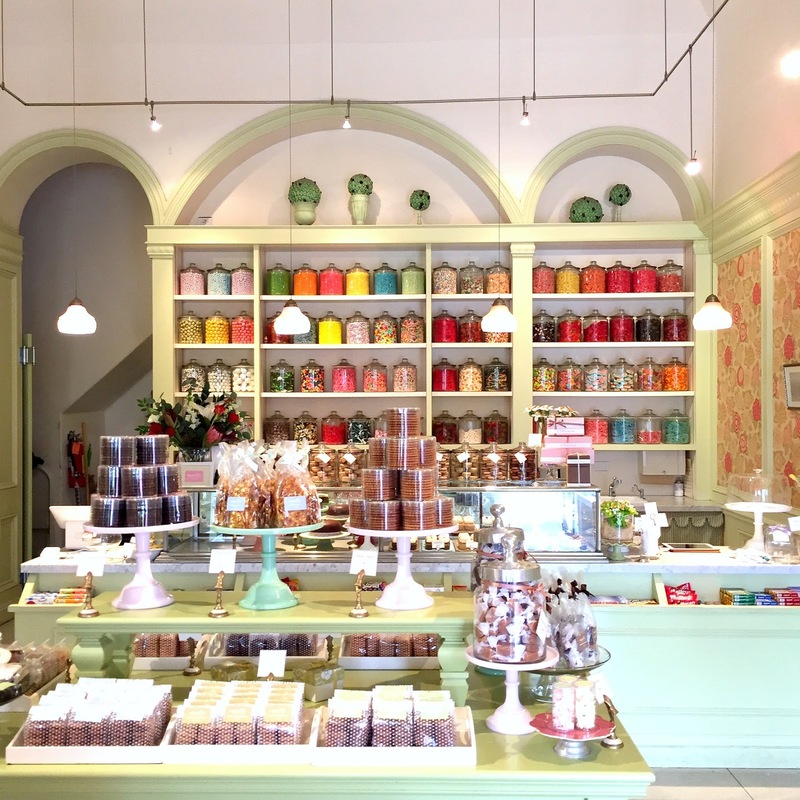 There is no shortage of pastel prettiness in San Francisco, that's for sure! Everywhere you look is another stunning home painted blue, yellow, pink or purple, and the wood work and intricate detailing that goes into these Victorian style homes is just mind blowing! One afternoon while walking around Hayes Valley, we stopped into Miette, on Octavia Street, for some sweets. 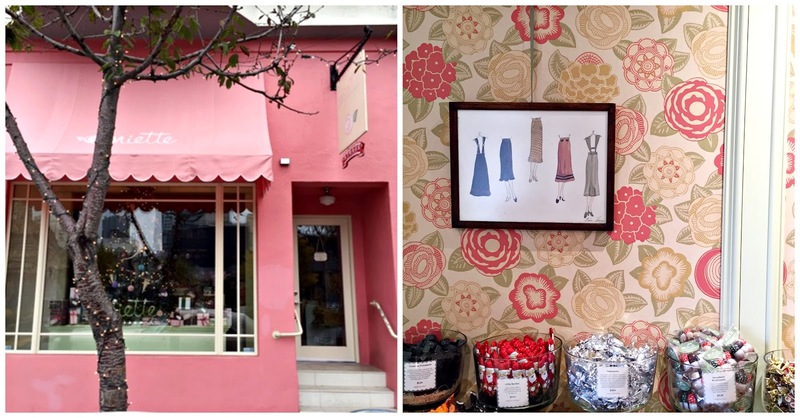 Aside from being the cutest little shop and selling delicious cupcakes, maracons, and hard to come by candy, the exterior is painted a perfect shade of pink. I picked up this scarf and hat combo just before leaving for San Fran and I am so thankful I did because it pretty much saved me from that San Fran chill! As soon as I saw the set I knew my pink Kate Spade Cedar Street Maise (which is now on sale!) would be coming along for the trip. I was delighted to find I fit in perfectly with the pretty pink walls at Miette and even more delighted as I had just found out Rose Quartz was to be one of the colours of the year. 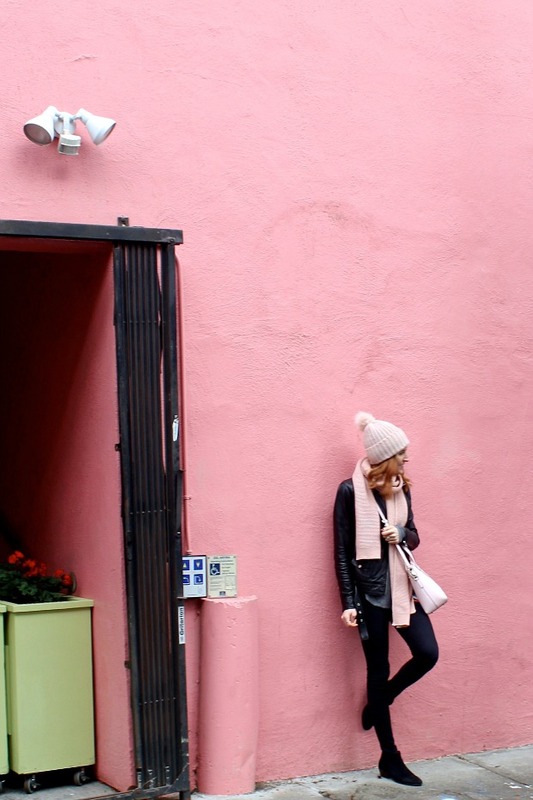 I paired the pink with some black staples- my favourite J Brand jeans and a leather coat- and I was ready for a touristy day in this stunning city. I still have more coming from our trip, so stay tuned! 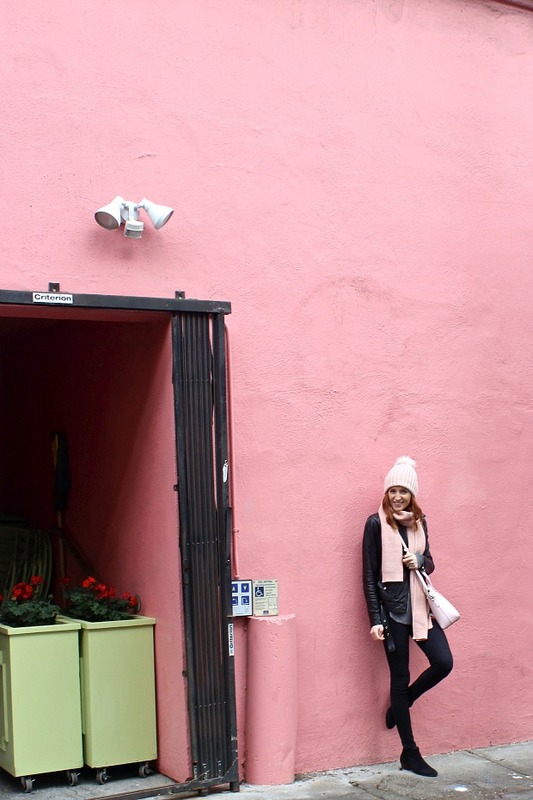 Did you catch my San Francisco travel diary? Absolutely love this look Gabriella! You blend right in with the beautiful pink surroundings! How cute was that candy store?? So cute! I wanted it all! Sugar coma! Loving all of your matching accessories girl! My favorite color!! You look gorgeous! !